Overview... a masked man who is recently divorced from his beautiful wife, Elena. Alejandro – whom we know better as his vigilante alter ego, Zorro – is momentarily too depressed to fight for the rights of all true native Californians. He seeks guidance from his priest, who was a childhood mentor. 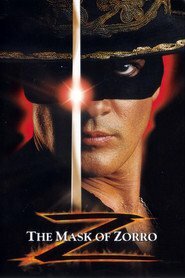 With California facing a vote on its independence or inclusion as a state in the United States of America and powerful forces once again trampling the rights of the common man, Zorro is called back to action. Whether that will help him win back Elena’s good graces, however, is another matter. Personality… heroic and vigorous, but difficult to live with. Zorro is his identity when he wears the mask, and that’s when he becomes most alive. It’s in his day-to-day existence as Alejandro, would-be husband to Elena and father to Joaquin, where he struggles. For Zorro/Alejandro, domestic life is far more complicated than a swashbuckling duel. Zorro's popularity ranking on CharacTour is #2256 out of 5,000+ characters. See our top-ranked characters and read their profiles.